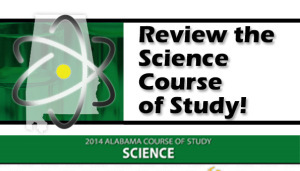 Alabama School Connection » Science Draft Course of Study Available NOW for Your Input! 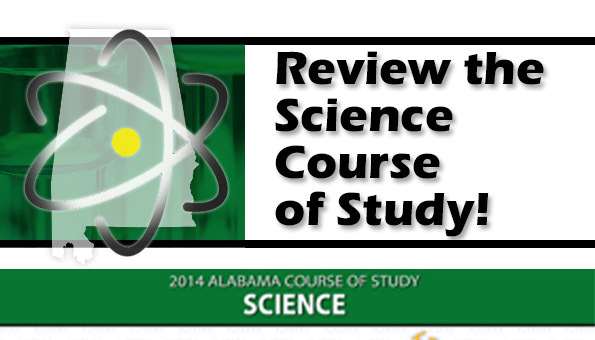 Alabama’s draft course of study (COS) for Science is now available for review and input by the public (that’s us!). It is set for implementation in our schools in the fall of 2015 2016 (updated based on correction from ALSDE spokesperson received 2/20/15). Following along the same procedural guidelines as Alabama’s College and Career Ready “Examine the Standards” review, the Alabama State Department of Education (ALSDE) is giving us all the opportunity now through January 30 to review these science standards and provide input. 1. Engage the general public, parents, educators, business and industry, and civic leaders in a general review of the science course of study. 2. Increase awareness and understanding of the revised science standards. And what will be done with our input? At the conclusion of the public review, the feedback generated will be reviewed by the State Science Course of Study Committee. The Science Course of Study committee will then recommend the revised science course of study to Dr. Bice, the state superintendent, who will then make a recommendation to the Alabama State Board of Education in the spring of 2015. That means that you still need to provide input to your local board of education even after the new course of study is adopted by the State Board of Education. Ask your local board when they plan to allow public input. 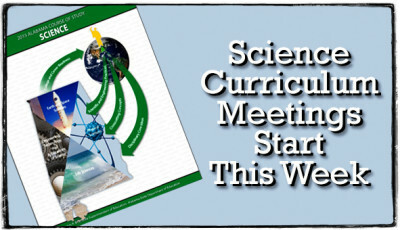 The current science COS was implemented during the 2006-2007 school year. This article, “Who Decides What Gets Taught in Our Classrooms?” outlines the process of COS adoption, textbook adoption, and how that translates into what lands in our children’s classrooms. Here’s the list of folks serving on the state’s science COS committee. 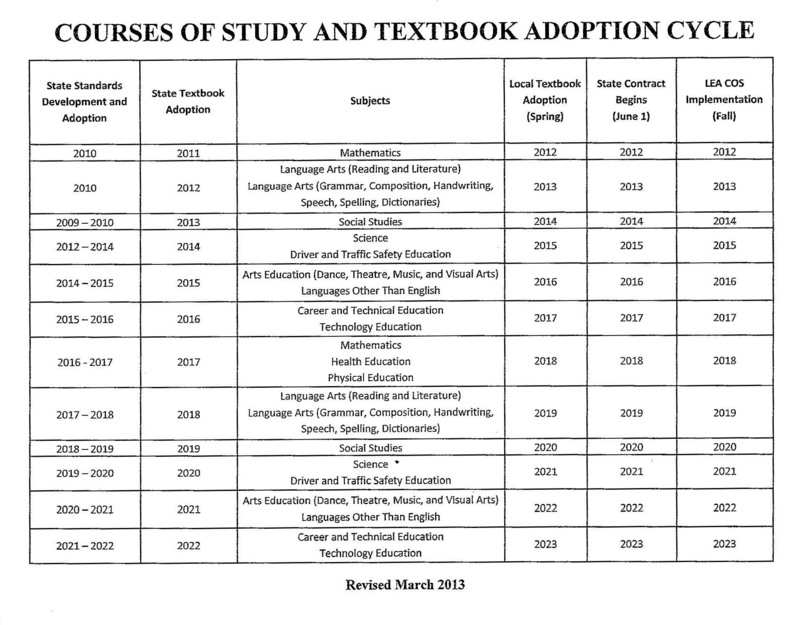 Here’s the chart of which courses of study are up for review each year and when the new COS will be implemented. A public hearing on the science COS is expected to be held on May 6, 2015, at the State Board of Education’s regular meeting, where it is likely it will be recommended for approval. 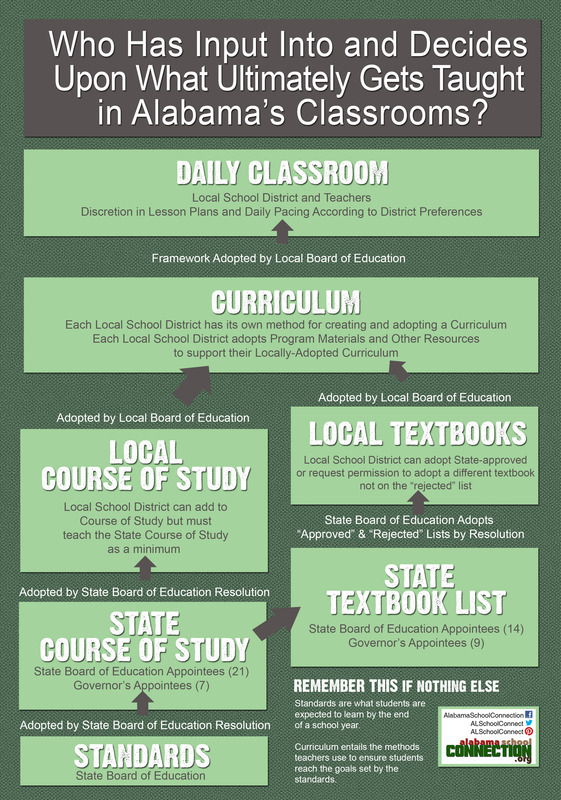 As shown in the infographic below, after the COS is adopted, the state textbook adoption committee reviews textbooks and makes recommendations. Remember: it is still up to the local board of education to adopt textbooks for use in our schools. So here we go! Make the time before January 30th to review these standards! Use your voice!